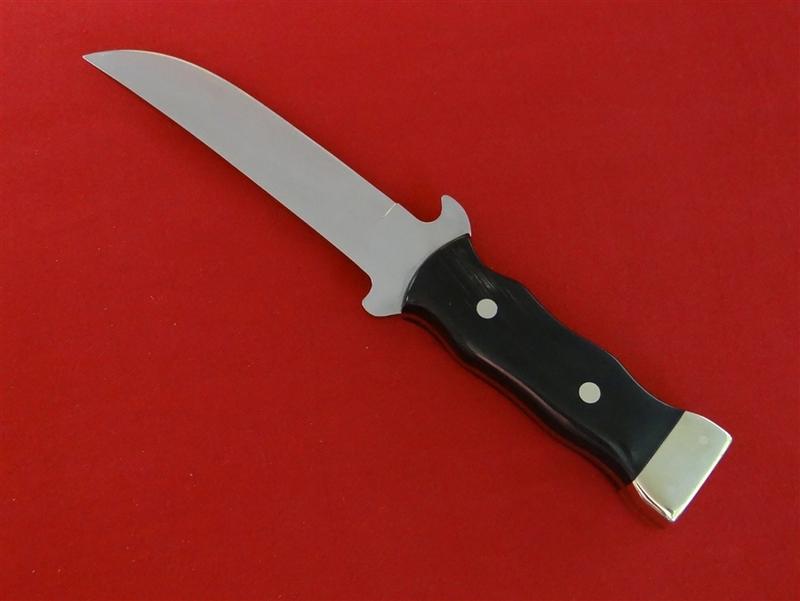 Tactical knife with Water Buffalo Horn handle and silver pommel. Includes chest rig with removable sheath, rig is held in place by your belt. 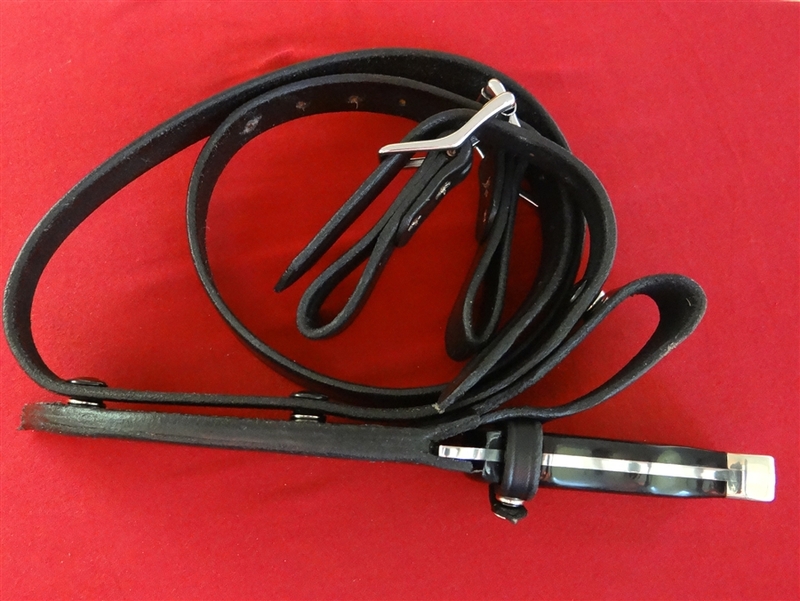 Very versatile rig because the knife sheath can be snapped onto the cross strap or worn by itself on your belt. Blade is high carbon 1095 steel, pommel is silver. 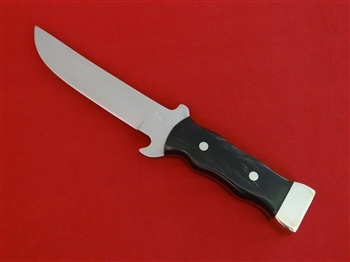 Made by Knife Artisan Terry Miller of Howe Indiana.